THE SIMPLEST AND QUICKEST form of bankruptcy is chapter 7 bankruptcy. When people mention a “real bankruptcy”, a “complete bankruptcy”, or a “fresh start bankruptcy”, chapter 7 is generally being referenced. A chapter 7 bankruptcy can be filed individually or jointly with a spouse. THE AUTOMATIC STAY stops any and all collection activity while your case is pending. Immediately upon filing for chapter 7 bankruptcy protection, the court’s automatic stay goes into effect. This means no creditor can call, write, sue, or garnish you. Once the discharge in the case is issued, creditors with discharged debts are forever barred from conducting any collection activity. A FILING FEE OF $335 is charged by the court to file an individual or joint case. This fee is due at the time the case is filed with the court. The fee can be waived if the filer’s income is below 150% of the Federal Poverty Levels. The fees can also be paid through installments that are approved by the court, as long as payments are made in no more than 4 installments and no later than 120 days from the filing date. THE MEANS TEST is the main obstacle to qualifying for chapter 7 bankruptcy. Put in the simplest form, to satisfy the Means Test, the adjusted household income of the filer(s) must be below Ohio’s median income for the same family size. If your income is too high, chapter 7 is not an option. A qualified attorney–lawyer can properly make this determination for you. EXEMPTION ISSUES may arise when a person files for chapter 7 bankruptcy. Each and every asset owned by the filers must be listed in the case. Everything owned falls within a specific category of property. Each category is provided its own specific exemption. An exemption is a monetary total. For each category, the total value of all assets grouped within the category cannot exceed the exemption allowance. If so, assets may be at risk if a chapter 7 is filed. Top bankruptcy attorneys are extremely important in exemption planning prior to filing a bankruptcy. If exemptions are not applied properly, you can actually lose the things that you own. 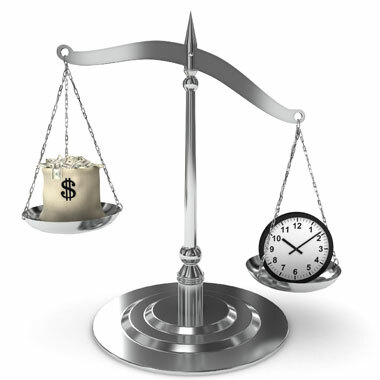 IF A PREVIOUS BANKRUPTCY you filed for received discharge, there is a wait period for filing a new case. If a prior chapter 7 was filed, you must wait 8 years from the prior filing date before filing for another chapter 7. If a prior chapter 13 was filed, you must wait 4 years from the prior filing date before filing for another chapter 7. AT YOUR INITIAL MEETING with our office, you will meet with a Columbus bankruptcy attorney, not a paralegal. May firms, especially low end firms attempting to charge bottom dollar prices have you meet with a non-attorney staff member. If you are going in for surgery you want to see the doctor, not the receptionist. If you are filing for bankruptcy, you need to meet with the attorney, not the assistant. This meeting will last for just over an hour. We will gather every detail of your situation. We will answer each and every question that you may have. We will together determine the risks and benefits for filing for bankruptcy. We will determine what information is needed to get your case approved. WE WILL WORK WITH YOU as a team after your initial meeting to gather all information necessary to properly prepare your case. You have probably heard of the horror stories of budget attorneys only providing a list to a client and sending the client to do all of the gathering alone. Our attorneys and lawyers will work with you to make sure the proper items are gathered the first time. Once all information is obtained, we promptly prepare your case within 7 business days. A CREDIT MANAGEMENT CLASS will be required while our office is preparing your bankruptcy case. This is a court required class that you must take from an approved non-profit company. We will provide you with a list of the least expensive, reputable organizations providing this course. You can take it over the internet on your schedule. Upon completion, you will be provided with a certificate of completion that can be delivered directly to our office form the company providing the class. A FINAL MEETING will be set with your bankruptcy attorney once your chapter 7 bankruptcy is prepared. You will review each document together and you will need to sign each of them. You will get to practice the questions that you will be asked at court with your attorney as well. You will again have the opportunity to ask any questions directly. WE WILL FILE THE CASE with the court for you the same week as your final meeting. The moment that your case is filed, you will be under bankruptcy protection, called the automatic stay. As the name indicated, the protection is automatic and it stops any and all collection activity while in effect. No creditor contact can occur. No phone calls, no collection letters, and no bills. Lawsuits and garnishments must stop immediately. If any creditor does attempt to contact or collect from you after your bankruptcy is filed, please contact us immediately so that we may file with the court for contempt and take legal action to enforce the automatic stay on your behalf. AFTER YOUR CASE IS FILED you will be required to take a debtor education course. Just like with your pre-filing class, this is a court required class that you must take from an approved non-profit company. We will provide you with a list of the least expensive, reputable organizations providing this course. You can take it over the internet at your time. Upon completion, you will be provided with a certificate of completion that can be delivered directly to our office from the company providing the class. YOU WILL ONLY HAVE ONE HEARING after a standard chapter 7 bankruptcy is filed. The hearing is called a “341 Hearing” or a “Meeting of Creditors.” In theory, this is a hearing that creditors can attend and ask you questions. However, in reality it is extremely rare for any creditors to attend. Generally the hearing only lasts for 5-10 minutes. It is conducted by a Bankruptcy Trustee, not a Judge. The Trustee is assigned by the court to administer your case. If you are honest with your attorney, you have nothing to worry about at this hearing. You will simply answer a series of yes/no questions regarding the accuracy of the forms submitted in your case. THE BANKRUPTCY DISCHARGE generally comes 60-90 days after your hearing. 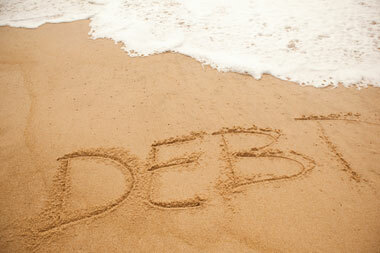 It is the final document in the case issued by the court declaring that your listed debts are forever forgiven. The discharge order permanently stops any creditor collection efforts on the discharged debts. The discharge provides you with the financial fresh start that you desire. THE BANKRUPTCY ATTORNEYS AND LAWYERS at our firm are experienced and respected by the Ohio courts. Bankruptcy can be a difficult and scary process on your own, but our attorneys-lawyers can help the process be easy and painless. Call today for your free telephone consultation to determine how we can help provide you with a simple and painless journey to your financial fresh start.